Vajpayee: 3-Time PM, 47 Years MP & Bharat Ratna! Atal Bihari Vajpayee, a tall leader who lead by example, passed away Today. August 16th, 2018 marks the end of era of a great statesman. Vajpayee was born in the year 1924. He became an MP when Jawaharlal Nehru was the Prime Minister. Nehru was so impressed when Vajpayee delivered his first speech in the Parliament. In 1996, Vajpayee was the PM of India for only 13 days. He ruled the nation in 1998 for 13 months. Finally, He got the opportunity to rule the country for full term in 1999. During the Emergency in 1975, Vajpayee was in jail for several months. He was the foreign minister in Janata Government which was formed in 1977. BJP won only two Lok Sabha seats and even Vajpayee faced defeat in his birth place Gwalior after Indira Gandhi assassination in 1984 Polls. The Saffron Party is back to limelight with Ram Janmabhoomi movement in the 90s. He was the only BJP Leader to say Babri Mosque demolition is a worst miscalculation. Atal ji is known for his extraordinary oratory skills. His speech on 1998 Pokhran Nuclear Tests: 'When Indira Gandhi carried out Nuclear Tests, We (Opposition) supported it though there was no threat to the nation then. Surprising to see people criticize the nuclear tests now'. 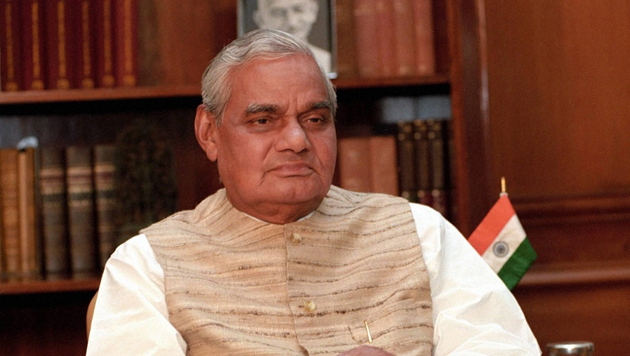 Vajpayee set the gold standard of leadership in the ruling BJP. He commanded respect from everyone including Opposition for what he has done during his 47 years period as Parliamentarian. He entered Parliament as Rajya Sabha MP but later got elected to the Lok Sabha seven times. Bharat Ratna was conferred to Vajpayee in 2015 by the NDA Government. It was the way he conducted himself as a politician and statesmanship, Leaders of all the parties rushed to AIIMS since Yesterday to pay their respects. Salute to the great leader, Atal Bihari Vajpayee! Why Is Pawan Silent On Telangana?